The Nominating Committee of the Medway Business Council is still seeking nominations to serve on the MBC Board of Directors for 2019-2020. At our April 17 meeting we will announce the proposed slate of officers and board members for 2019-2020. There is currently a vacancy on the board that needs to be filled. No prior experience is necessary to serve on the MBC Board of Directors. The only requirements are that you are a member in good standing, who is willing to be involved and able attend board meetings and events. The Board meets once or twice a month typically via conference call to plan events and handle MBC business, and board members then work on committee/individual tasks as needed. If you would like to nominate yourself or someone else for the Board of Directors, please complete the Slate of Nominations form on our website prior to May 3. In addition to the form, you will find links to our current leadership team and the MBC by-laws, which describe the responsibilities. 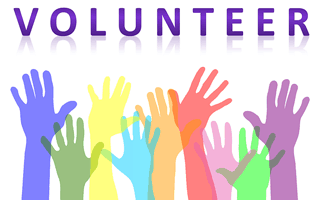 Beyond the board, the MBC is also in need of volunteers to serve on various committees including Program, Membership and Digital IT. In order for MBC to remain a viable organization, it requires members who are willing to act in leadership and volunteer roles to undertake the various tasks required to make MBC successful. If you have any interest and would like to learn more about being a director or volunteering for a committee, please contact Wayne Texeira or Julie Dennehy. A final slate of will be presented at the Medway Business Council Annual Meeting in May 2019 to be voted on by members.